As any kid can tell you, dinosaurs are the best! Your child’s love of dinosaurs might inspire you to visit some of the amazing prehistoric exhibits across the country on your next vacation. While many museums across America (and the world) have dinosaur exhibits, some are considered the cream of the crop. Below are six of the most stunning dinosaur-themed or natural history museums in the country. The Field Museum in Chicago is internationally famous as the home of Sue, the most complete Tyrannosaurus rex fossil ever discovered. The museum also has a sizable dinosaur exhibit that is on permanent display. Their children’s area is called the Crown Family PlayLab, where children are encouraged to dress up, explore, and create. It will encourage your children to learn about the natural world and other cultures. A 106-foot Supersaurus skeleton is the Wyoming Dinosaur Center’s star attraction, along with the only fossil of Archaeopteryx on display in North America. The specimen also happens to be one of the most complete and best-preserved Archaeopteryx, after one currently housed in Berlin, Germany. But the center’s most unique attraction might be the ability to talk to real paleontologists and take tours with them. It is one of the only dinosaur museums near an active excavation sites. Dinosaur National Monument actually consists of land both in Colorado and Utah. There are a number of museums in the historical area spanning nearly 200,000 acres, but the Dinosaur Quarry Exhibit Hall and Visitor Center is where a family enthusiastic about dinosaurs needs to go. Your children can view and even touch real dinosaur fossils. Because it is a national park, kids can even obtain Junior Ranger certification if they complete the assigned activities. However, not everything in Dinoland is from prehistory—impressive petroglyphs from the Fremont Native American culture of the region are available for viewing as well, so long as they are treated with due respect. This is one of the foremost natural history museums in the United States. Dinosaur Hall is one of the museum’s most popular exhibits, with over thirty species of dinosaurs on display for viewers to enjoy and learn about. Roughly half of those are full skeletal mounts, and many other prehistoric animals are represented as well. Other permanent exhibits on display at the museum feature a butterfly garden and various natural dioramas. Kids can explore, learn, touch, and play! Made even more famous as the setting of the popular Night at the Museum movies, this is another premier US Natural History Museum. This museum actually hosts several dinosaur halls with displays, as well as prehistoric mammals and the origins of vertebrates. It also has other amazing natural history displays on subjects ranging from space, planet Earth and the environmental history of New York State, among others. One of the museum’s main exhibits is Timetracks: A Walk through Time, which takes visitors through the entirety of New Mexico’s natural history, including when dinosaurs walked the state. The DynaTheater plays exciting, educational movies and programs for families, and the hands-on Naturalist Center is the perfect place for kids to have some fun while learning about the natural history of the region. Besides mounted dinosaur skeletons, the museum has a fascinating exhibit on the emergence of life on planet Earth. Families who would like to expose their children to prehistory should consider going to any of these museums on their next trip. 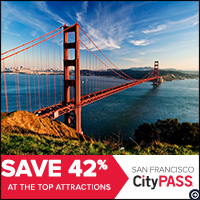 Don't forget to consider a CityPass to help you save big on your Prehistoric Adventure! Your family will spend some quality time together, you will see some amazing things and a lifelong love of learning will be instilled in your children from an early age.